50mm Fixed Ring Consolidometer - Gilson Co.
HMA-83A 50mm (1.97in) Fixed Ring Consolidometer has an acrylic inundation ring attached to a stainless steel base and is used in laboratory consolidation soil testing with Karol-Warner or other manufacturer’s Consolidation Load Frames. This consolidometer loads the specimen from the top while the sample ring base remains fixed in place. It is equipped with a 0.75in (19mm) high stainless steel cutting sample ring with built-in cutting edges for efficient sample preparation. 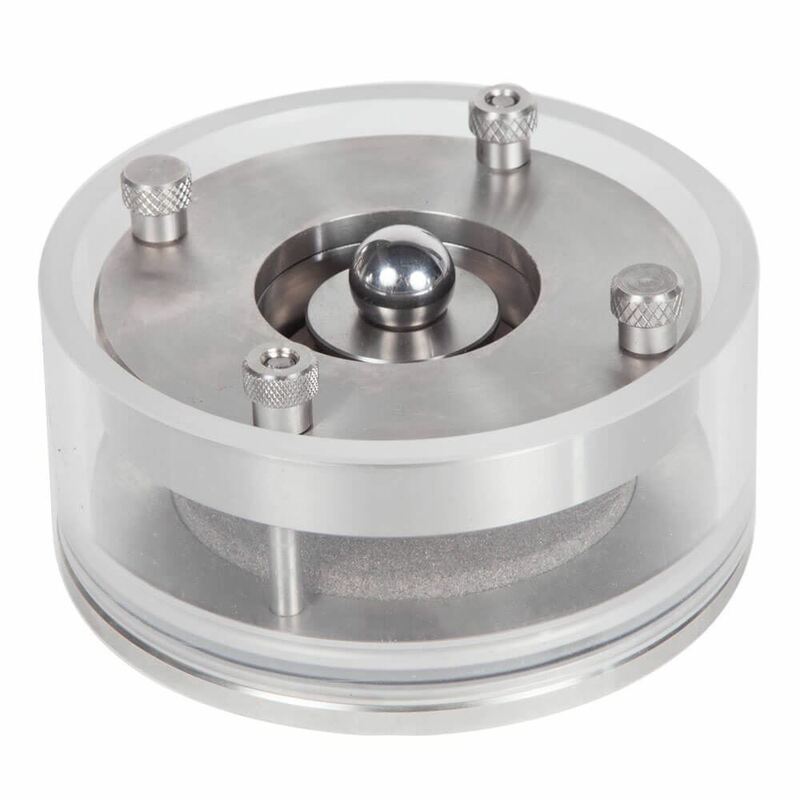 Clamping rings are fitted with lifting knobs for easy removal after the test. 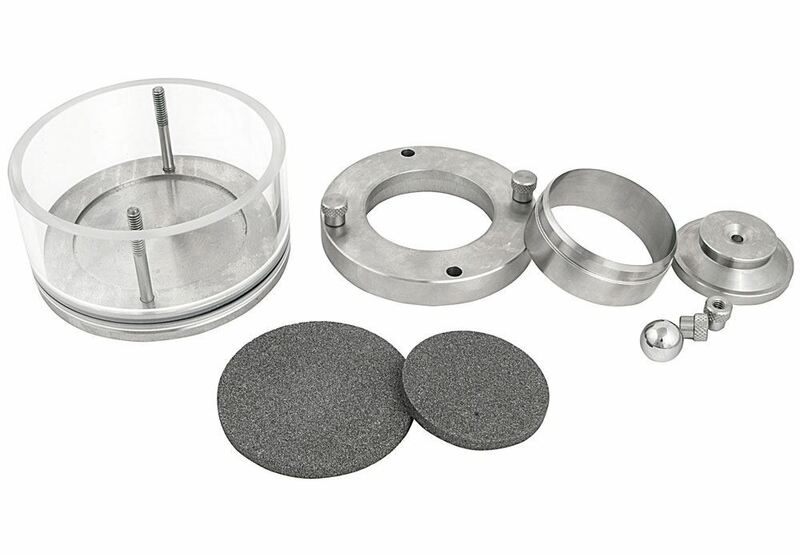 Loading pad, attached acrylic inundation ring, top and bottom porous stones, and a load-bearing ball are also included. Components are available separately. These Consolidometers work with most other manufacturer’s units.